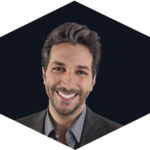 Daniel Yazbeck is the founder, seed investor and creator of the MyDx Analyzer. Daniel leverages nearly 15 years of experience with Fortune 500, as a Scientist for Pfizer Pharmaceuticals specializing in Chemical R&D technologies, and as an Engineer and Strategic Market Developer for Panasonic, creating new products and partnerships in the consumer electronics healthcare industry. Mr. Yazbeck has been a Cashflow Investor for over 10 years, holds a Master of Science degree in Medicinal Chemistry from McGill University, a minor in Marketing, and is a co-Author on several world patents and research publications. Erai Beckmann combines over 4 years of experience in the Cannabis industry in a senior management position following a 5 year career as a serial entrepreneur starting as an entrepreneur in residence in private equity. Mr. Beckmann in his previous companies as an entrepreneur held the position of CEO in several successful startups, in both the Cannabis and health industries. From 2016 through February of, 2018, Mr. Beckmann was the CEO and Co-Founder of Humanity Holdings, Inc., a legal Nootropic Cannabis manufacturing company, one of the first companies in San Diego, CA to receive a legal Cannabis manufacturing and distribution license. Erai Beckmann is also currently the Founder and President of Mr. Cannabis Inc., a southern California focused Cannabis private holdings group.